Tools are about the most valuable possession of the clock maker and repairman. A great deal of time is spent locating and collecting the needed tooling to be able to properly repair and restore a clock movement. 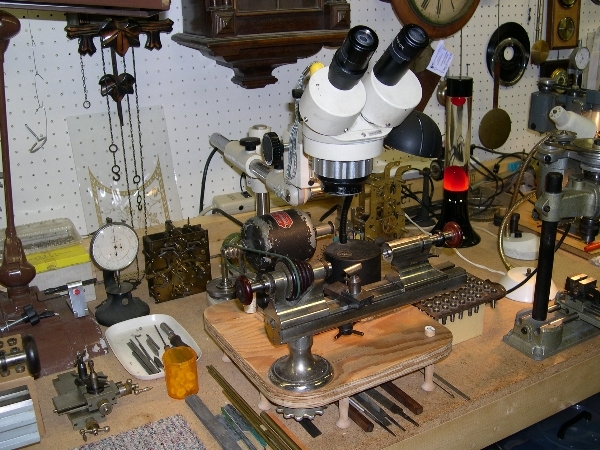 There are few parts available for an older clock so worn, damaged, or broken parts need to be manufactured. Below are a few of the lathes, mills and drills we use on a daily basis. 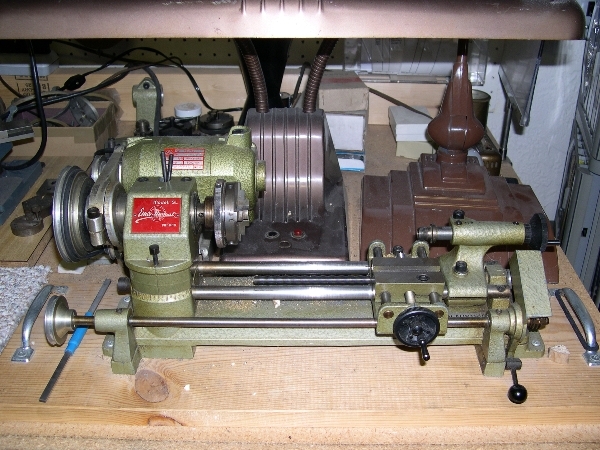 Levin 10mm lathe with ball bearing headstock, collet holding tailstock, and 18" bed. This lathe gets the most use in our shop. 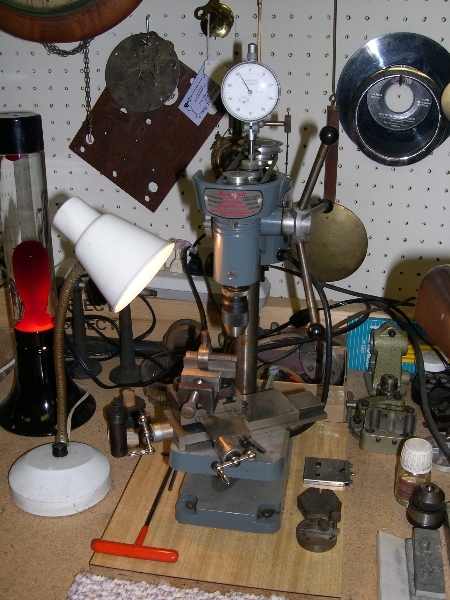 Levin 8mm lathe with cone bearing headstock, collet holding tailstock, and Unitron 10x - 20x stereo microscope on boom stand. 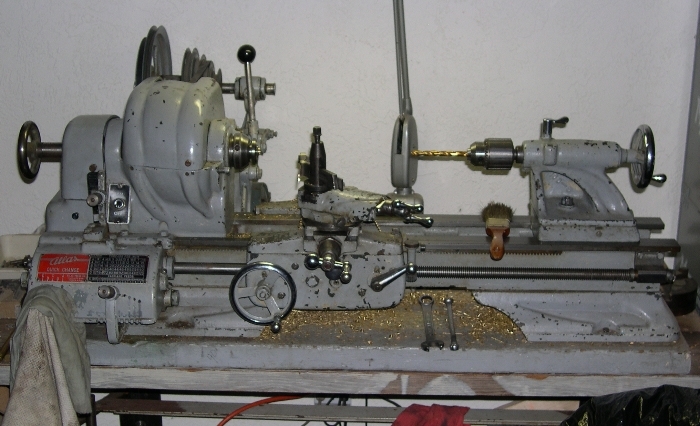 This lathe is used for most of our precision work. 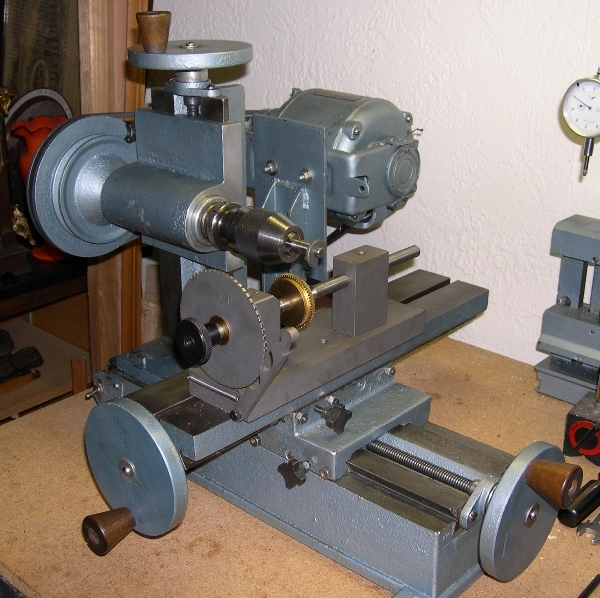 Atlas 10" Quick Change back geared lathe with adjustable horizontal drive motor. We have a great deal of tooling for this machine and this lathe sees a great deal of use in the shop. This machine is large enough to be able to create any turned part we've needed. Unimat SL lathe. We have this one set up with a three jaw chuck and a headstock riser block. These lathes are not very rigid and we use this one almost entirely for polishing winding arbor pivots. Cameron micro drill press. These are fantastic little drill presses that run up to 30,000 rpm and are extremely accurate. 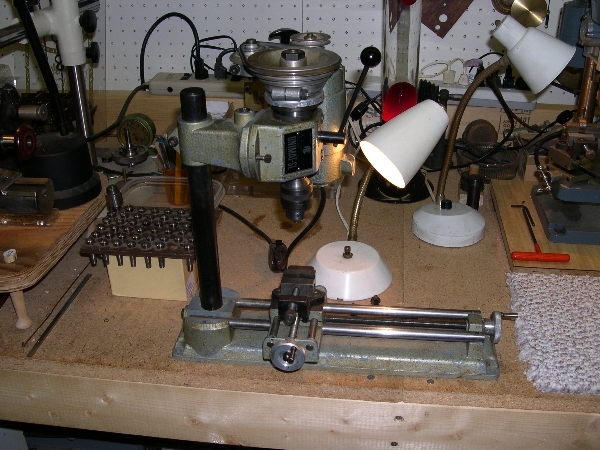 This machine is set up with an Albrecht chuck, a Levin two way cross slide, and an Unimat vise. This setup allowes us to very accurately drill very small holes. Another Unimat SL lathe set up with its milling attachment. We use this as a small drill press when the size of the bit is larger than the Cameron can hold. 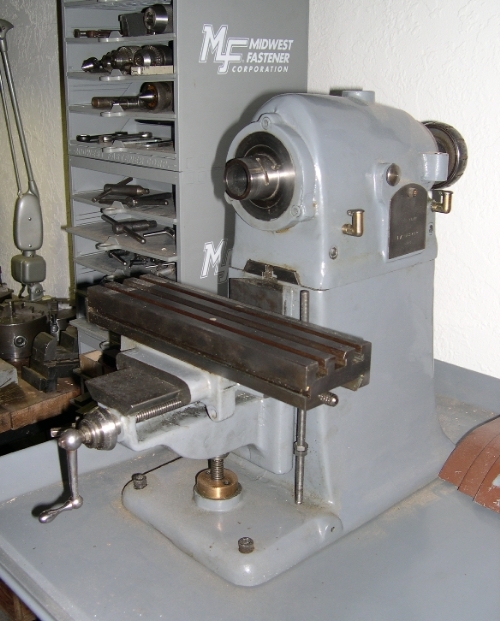 Roussel Horizontal Milling Machine set up with a Lindow latch plate indexing attachment. 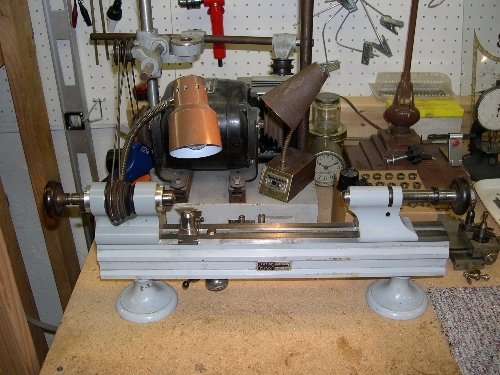 This machine is used for cutting brass clock wheels. Hardinge BB4 Horizontal Milling Machine. This mill uses Hardinge 4C collets and we typically have it set up with an additional Lindow latch plate indexing attachment for cutting clock pinions. A vertical milling head was produced for this mill, if you have one that you would like to sell please let us know. Please contact us if you have anything you may be interested in selling. Please look at our clock tools page .